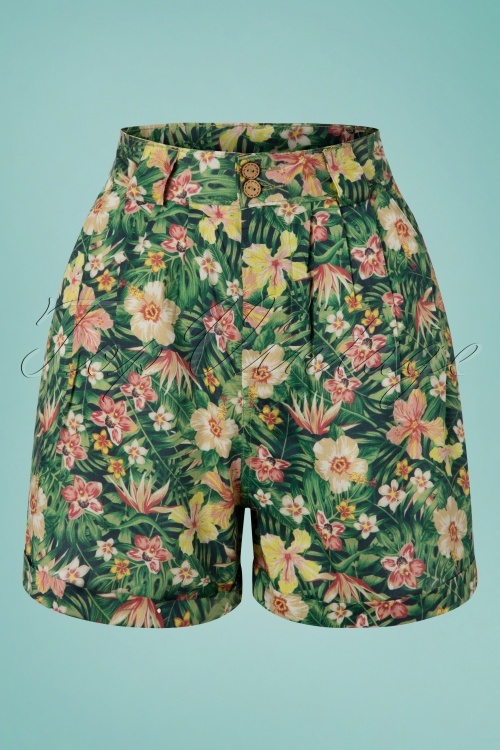 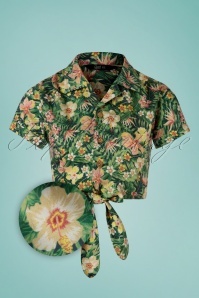 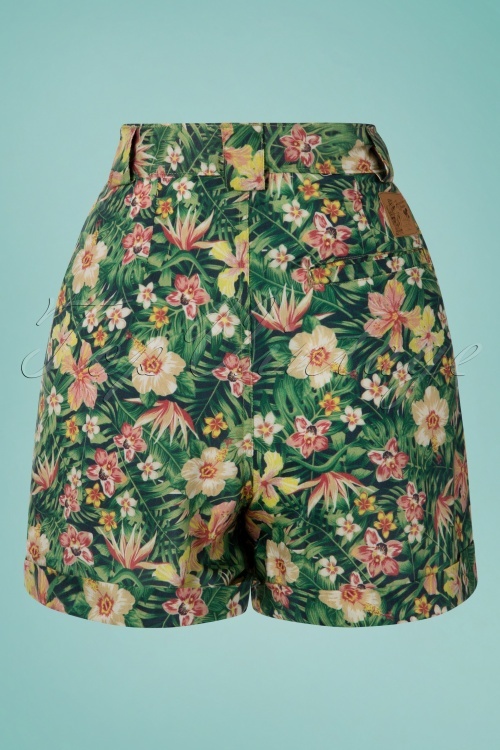 New spring/summer collection ~ It's time to show off your legs in these 50s Tricia Tropical Shorts in Green! These stunning style shorts are worn high at the waist and feature wide legs with a playful cuffed hem. 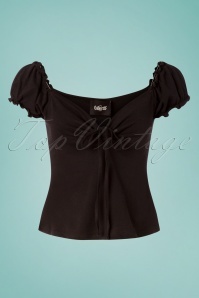 She also features side pockets, pleated detailing and is made of firm, yet breezy 100% viscose (doesn't stretch). 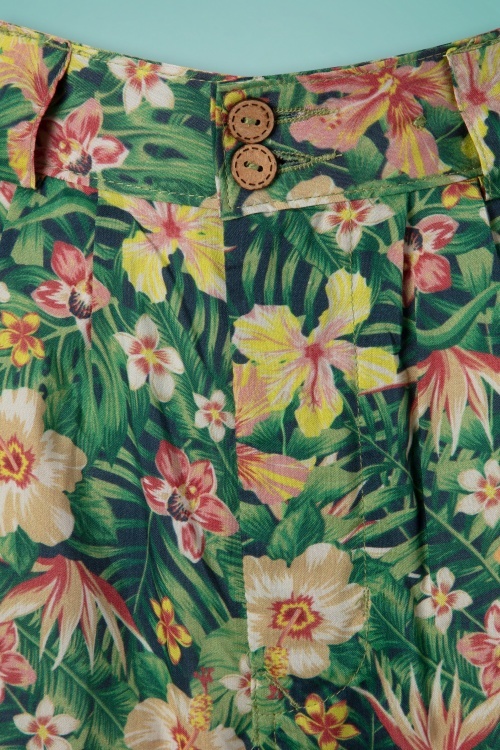 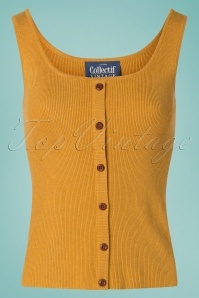 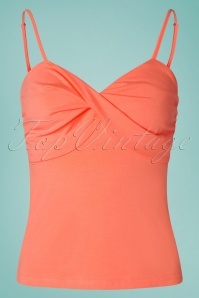 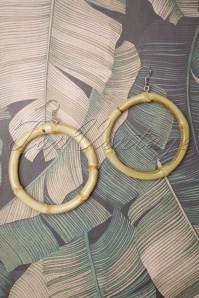 Pair with a simple top and you are ready for summer!